What I Eat! or Food: because the word “die” is in Diet! “How did you do it?” This is currently the most asked question in my life. “It” is lose all this weight over the past year (actual weight loss numbers to be shared soon 😉 ). After answering this question a half-dozen times, the answer finally came down the the clear concise notion of eating! This makes a lot of people scratch their head and look at me sideways. They think there is no way I can eat and lose weight. They all want me to be some cranky pants whining about lettuce — I’m not! If you follow me on Instagram (shameless plug) you’ll see a lot of pictures of what I eat. Some of it is boring, like yogurt with fresh fruit in it, but some of it straight excites me! Yes, I do eat clean and find it exciting, it is possible! I attribute the attitude towards my food to a lot of my success. I get a kick out of taking a recipe apart and modifying it for my nutritional needs. I squeal with excitement when I find a new recipe with healthy mods already built into it. I live for this stuff! You notice the missing word from this and many other posts? Yea, I don’t use the “D” word! I am not on a diet! 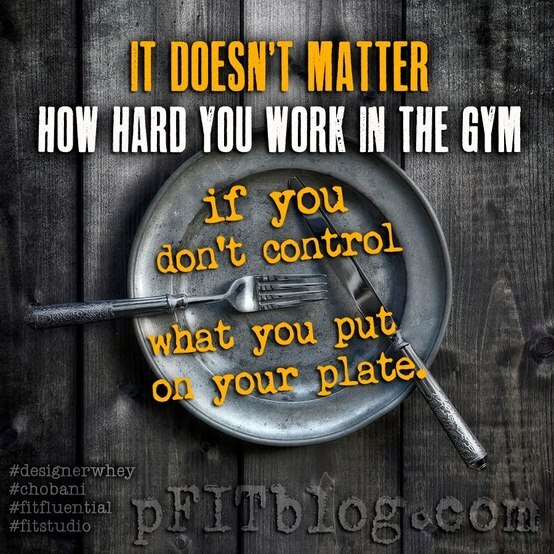 I have made a choice to eat better, indulge when I want to and work out to make my body work better. It’s working! You know why? It’s because I follow the science not the snake oil! It’s more about food than you think! So what do I eat? It’s simple! 1. Lean protein! Things like ground turkey, chicken breast and Greek yogurt come to mind for most people when you say this. I take it a bit farther and make sure to add tofu, beans and vegetables that are high in protein. 2. VEGETABLES! I cannot stress enough how important EATING your vegetables is! I am not talking about the fun ones like corn and potatoes. I’m talking about getting brave and eating brussel sprouts, all kinds of kale, chard, cabbage, squash, zucchini etc. etc. etc. Go to the market, pick something up you’ve never eaten before and google a recipe for it. 3. Good fats. If you’re scratching your head while reading that line I need you to know, that all fats are not created equal! This is where the quality of your calories kicks in. You choose good fats over bad fats. Good fats are those that come from things like nuts, avocado and fish. I am not talking about the fat that comes from those fries you had at lunch or that burger you got from the drive thru! Those are bad, bad fats! 4. Carbs! Don’t click away or throw your hands up in the air because you think I’m off my rocker! Read on… because the truth is you need carbs in your life! If you are working out, you need carbs! Again the difference here is making the choice to get your carbs from the right places. Fruits have carbs, veggies have carbs and starches like quinoa and brown rice have carbs. You can even have bread! Imagine that! Sure, I make it sound soo easy right? Well, it really is once you get used to it! But I don’t do it all on my own, I have major support at home! Online I have a handy dandy app to help me track all my food intake and keep up with friends who are also getting healthy, I have Pinterest that helps me find like-minded people who are pinning recipes I benefit from, I have BodyBuilding.com which is my source for information about workouts and all things exercise. I also have 2 gym memberships so I can take advantage of different class schedules and work out with friends at their convenience. That helps me not get bored with workouts as well as keep my friends in the loop even though my presence is lacking at 9 out of 10 happy hours. The bottom line is quality versus quantity! Make your calories count people! Your days will go better, your workouts will go better and you’ll take a nice boost in progress in the gym!